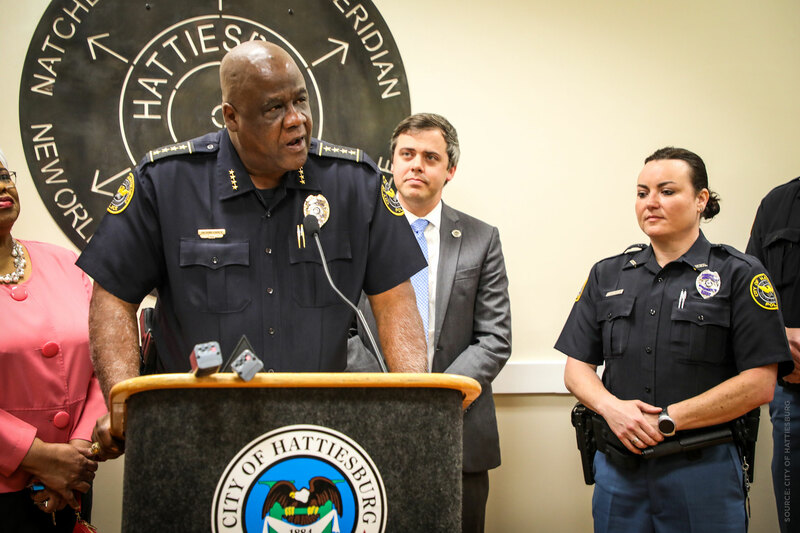 Hattiesburg, Mississippi – Hattiesburg Police Department welcomed three more officers into its ranks during a swearing-in ceremony hosted by Mayor Toby Barker on Thursday, April 4. 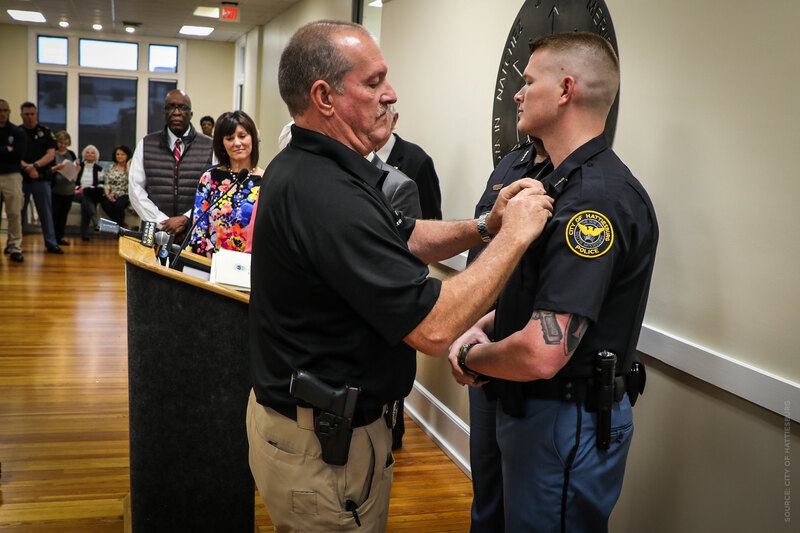 Officers Tammy Shelbourn, Adam Woodard and Cinnamon Kizer-Hudson were all issued the oath by Barker and badges were pinned by family members. 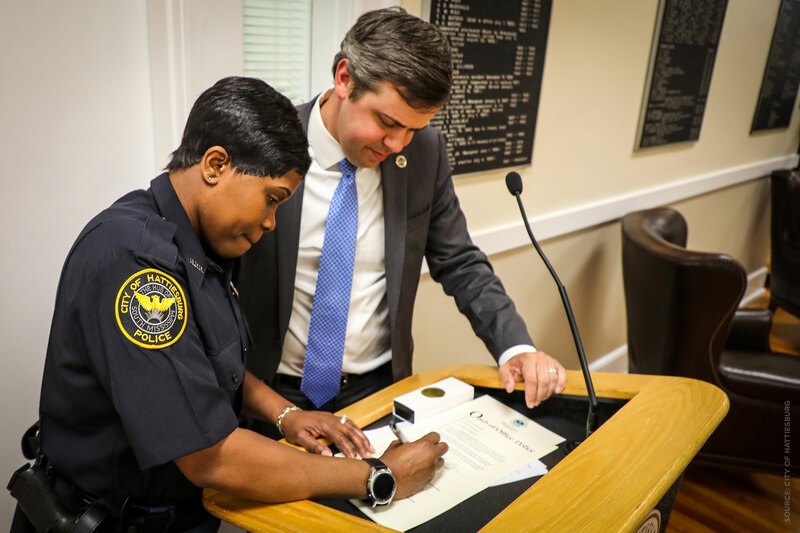 Both Shelbourn and Woodard come to the department with several years of experience, including time served at Petal Police Department and The University of Southern Mississippi Police Department. Kizer-Hudson comes to the department from DeKalb County Sheriff’s Office in Georgia with 10 years of experience. 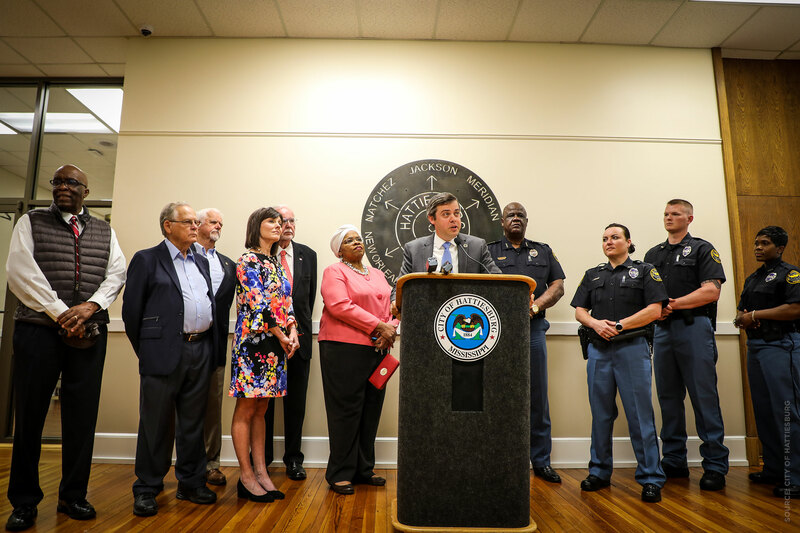 At the ceremony, Barker was also joined by former Fire Chief George C. Harrington, former Public Safety Director Dempsey Lawler, Councilwoman Delgado and local delegation members Rep. Percy Watson, Rep. Missy McGee and Senator Billy Hudson to announce the cost of living adjustment for the city’s remaining 144 fire and police retirees that are under a dated retirement system – the Police and Fire Disability and Relief System. 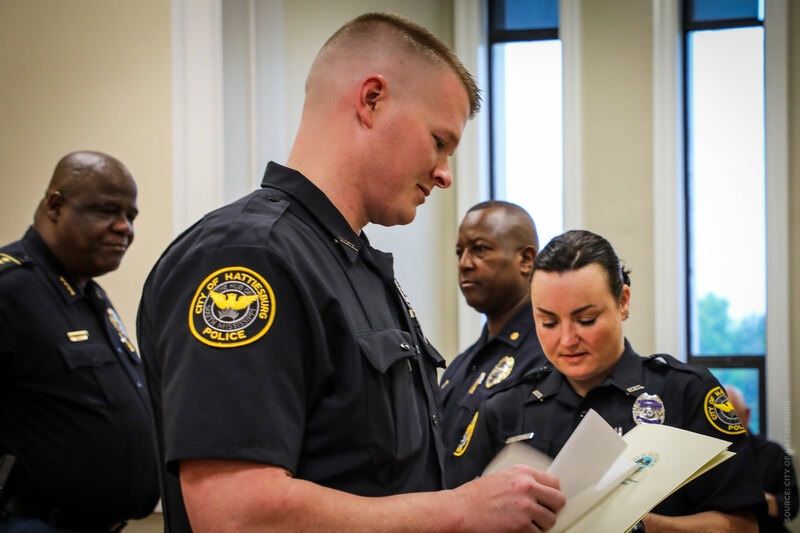 Retirees under this system, which is often referred to as the 20-year police and fire plan, only receive 30% of their highest salary at the time they were employed. Once that cap is met, it doesn’t increase. At the recommendation of Ward 1 Councilman Jeffrey George and approved unanimously by the Council as a whole in February, local and private legislation was requested to raise the cap from 30% to 32% based on a cost of living analysis. The last time a cap was raised was in 2009, and it took local and private legislation to that. A bill was then drafted by Rep. McGee and was supported in the House and Senate, by all local delegation. 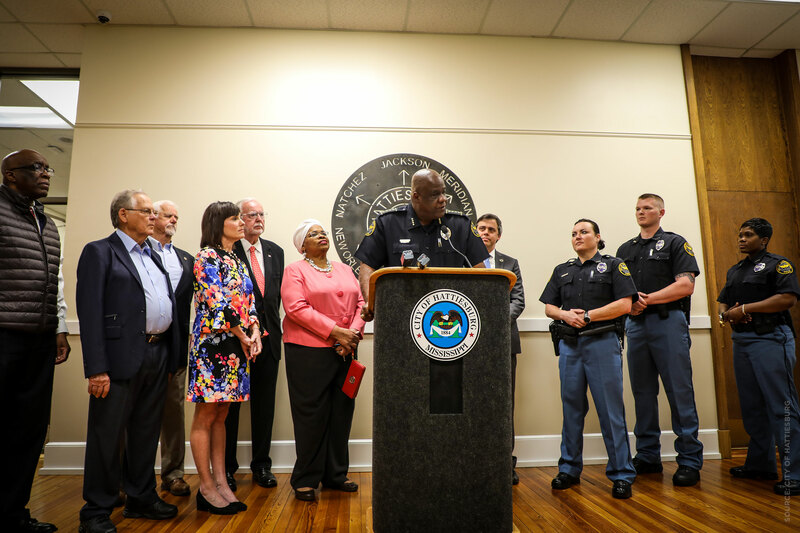 With that support, the bill was passed and signed into law on Wednesday, April 3 by Governor Phil Bryant. 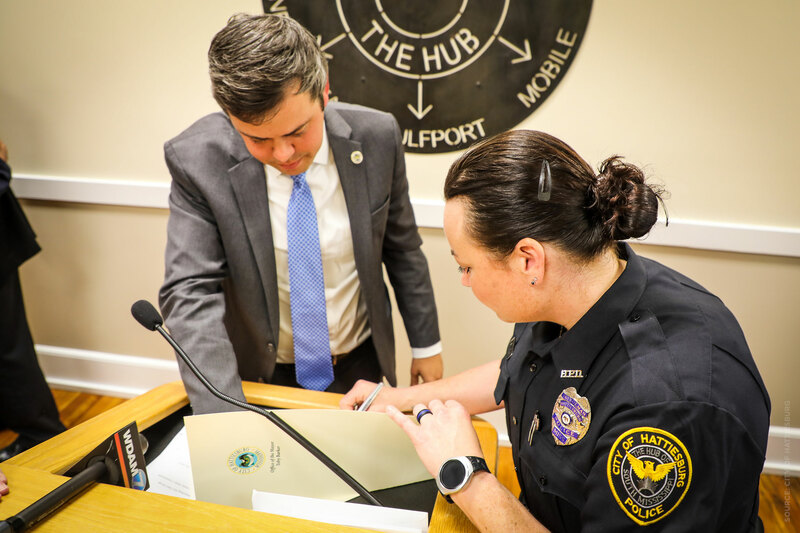 The cost of living adjustment will begin paying out at the beginning of the 2020 Fiscal Year. 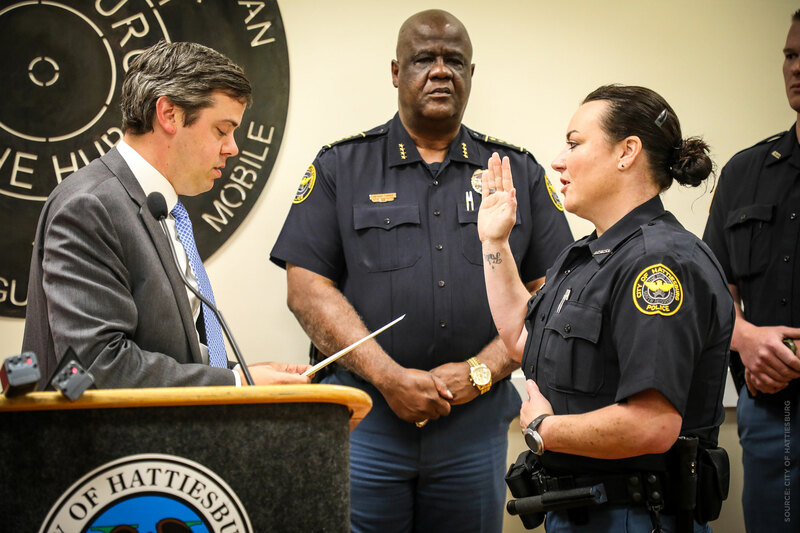 Officer Tammy Shelbourn receiving the oath. 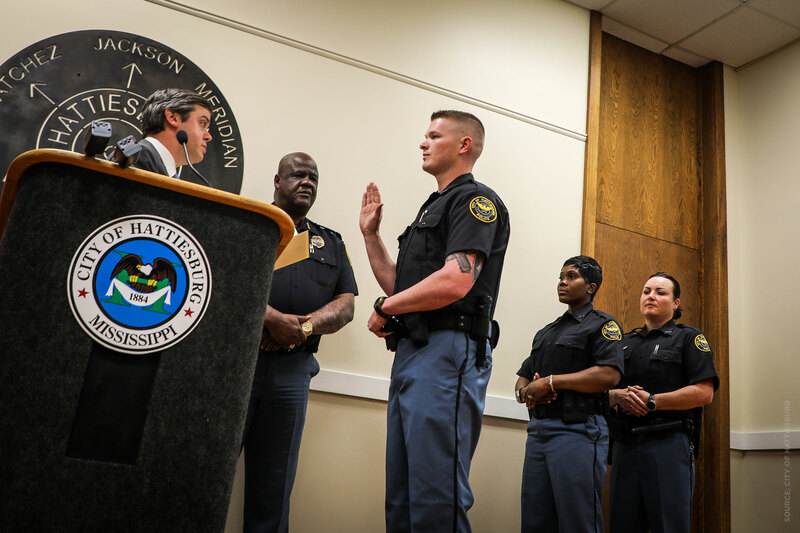 Officer Adam Woodard receiving the oath. 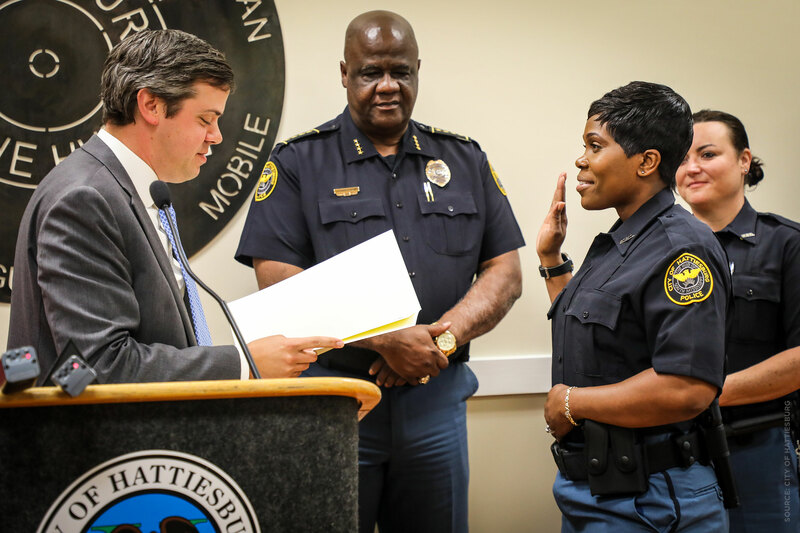 Officer Cinnamon Kizer-Hudson receiving the oath. 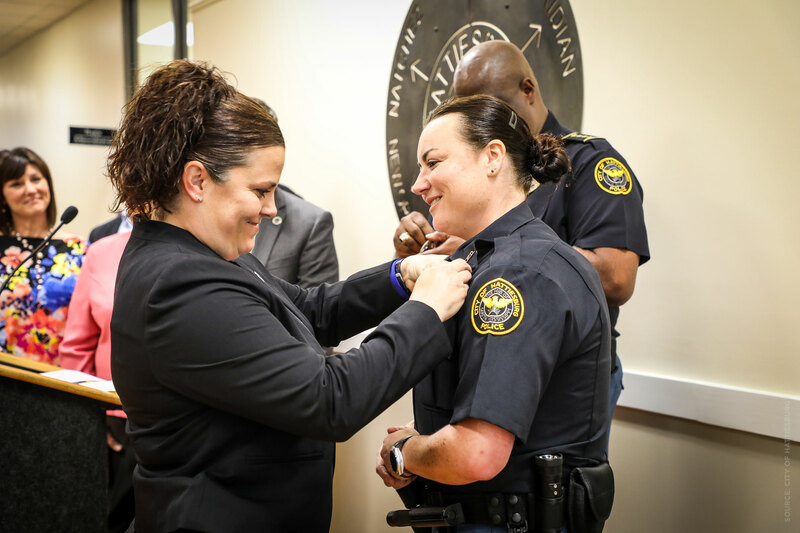 Detective Chadra Daniels pinning Officer Shelbourn’s badge. Officer Woodard’s father pinning his badge. 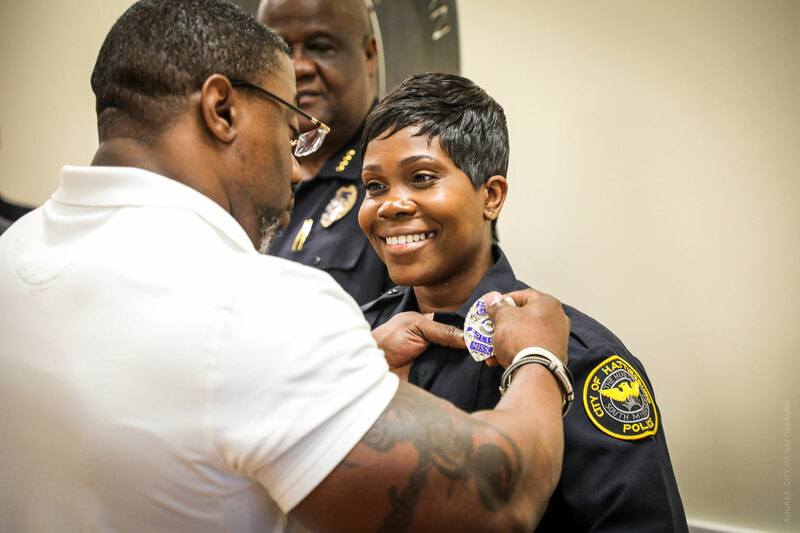 Officer Kizer-Hudson’s husband pinning the badge.